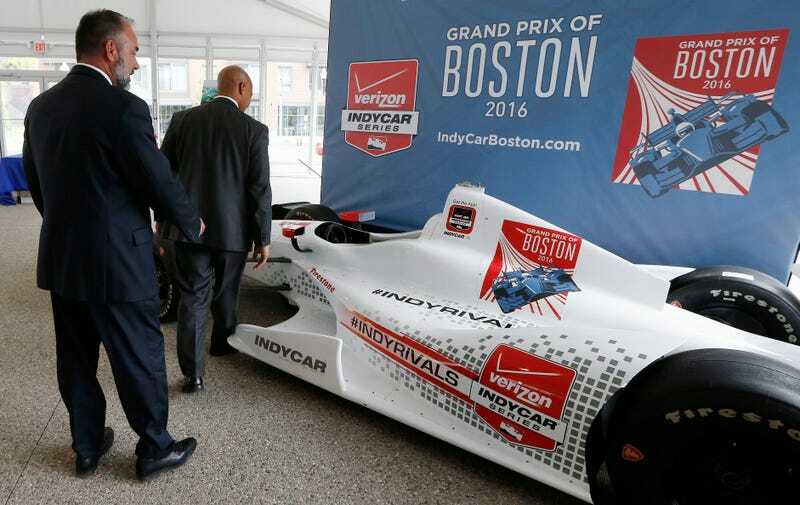 The cancelation of the Verizon IndyCar Series’ Grand Prix of Boston in April left fans out of ticket money and the organizers lacking $1.67 million to reimburse them, and a settlement announced on Thursday means IndyCar will pick up a large part of the bill. But that doesn’t even begin to fix the mess. The race would have been the inaugural running of the Grand Prix of Boston for IndyCar, taking place on a 2.2-mile temporary street course during Labor Day weekend. The relationship between race promoters and the city went downhill, with president of the former Grand Prix of Boston group John Casey saying the city had “endless, unrealistic demands.” In the ultimate finger-pointing match, the city called the group disorganized and unwilling to work to save the race. ESPN reports that the Grand Prix filed for bankruptcy on Tuesday, with $10,909 in the bank, two show cars worth around $50,000 and 12o concrete barriers to its name. The filing listed all of the people owed money by the race, including the fans who received a guarantee of ticket refund upon an event cancelation. IndyCar’s portion of the ticket bill—originally totaling $2,086,798—will cover $925,000 after coming to an agreement with Massachusetts Attorney General Maura Healey, according to ESPN. More than 4,000 people bought tickets to the race, and organizers only had about $400,000 for refunds after its cancelation. An affidavit filed in the case says one of Healey’s financial investigators found $55,000 in checks written from Boston Grand Prix accounts to Casey in the three months before the race was canceled, and $175,209 in checks between June 2015 and April 2016 to Casey Summit LLC, a company managed by Casey. “Many of the transactions listed in BGP’s bank records through April 30, 2016, totaling tens of thousands of dollars, appear to be of a personal nature,” wrote investigator Shannon Roark. She listed as examples: transactions with ticket broker StubHub, the clothing store Vineyard Vines, Sirius XM radio, the on-line store of electronics retailer Best Buy, and Stop & Shop supermarket in Danvers.